I get quite a few of you guys asking me how I got my start into photography. 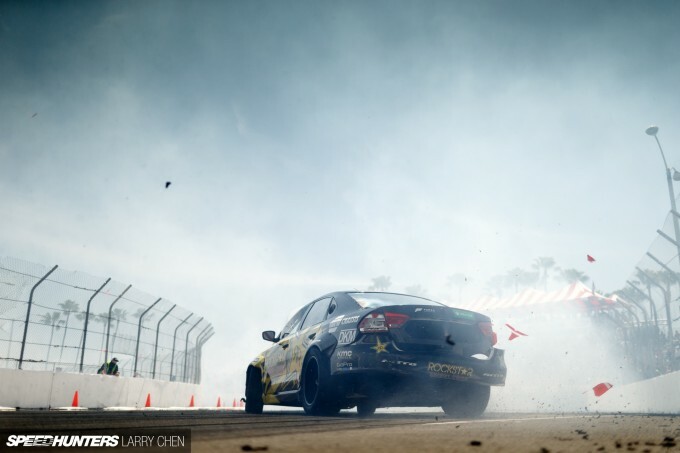 Although the easy answer to that question is that I kind of just fell into it, the real answer is Formula Drift. 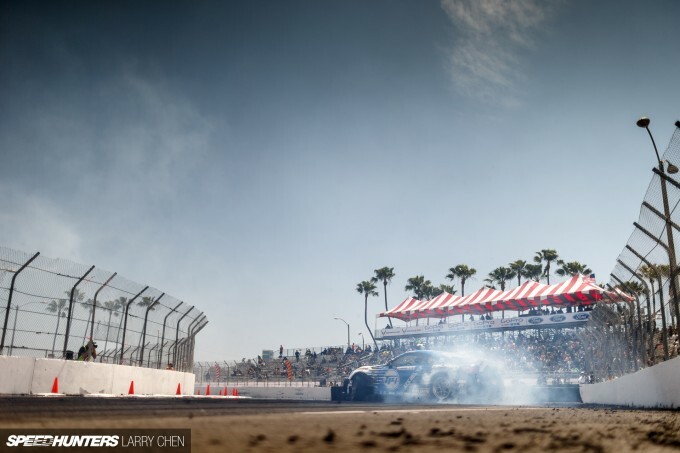 For me, the 2015 season opener at Long Beach marked exactly 10 years of shooting professional drifting, and 10 years of covering FD. I remember my very first Formula Drift round like it was yesterday. I was working for FreshAlloy.com, which was a Nissan/Infiniti/Datsun website back then, and one of my duties was to drive a 350Z project car to the Bridgestone tire booth, and of course provide coverage from the event. Having only shot amatuer drift events up until that point, and before that shooting from behind the fence in the stands, I told myself I was in the big leagues. And I’ve never looked back. Armed with a Canon Rebel XT, a 256mb memory card and two batteries, I was ready for battle. And the glass? I only had the best: an 18-55mm kit lens and a 75-300mm Sigma telephoto. It was intimidating shooting such an event, but I had so much fun. Who would have thought then that a decade on I would still be hanging around on the hot grid having my lungs filled with tire smoke. Of course, over the years the series has changed so much that it’s not really the same event for me now. I’ve made so many friends along the way, and I’ve had the chance to tell so many stories. It’s my home, and it’s become home for so many drivers, team owners, mechanics and media. Isn’t it crazy that some of these teams earn a living from just driving sideways? 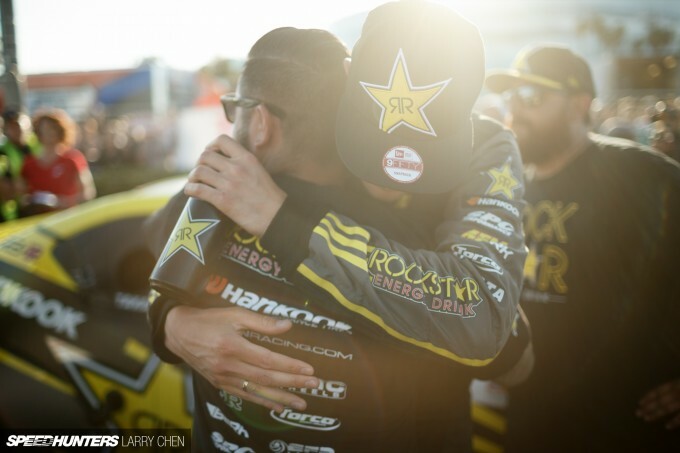 Without a doubt it’s been a tough road for everyone, but because of the one-on-one attention that spectators get at Formula Drift, fans for life are made at every single round. 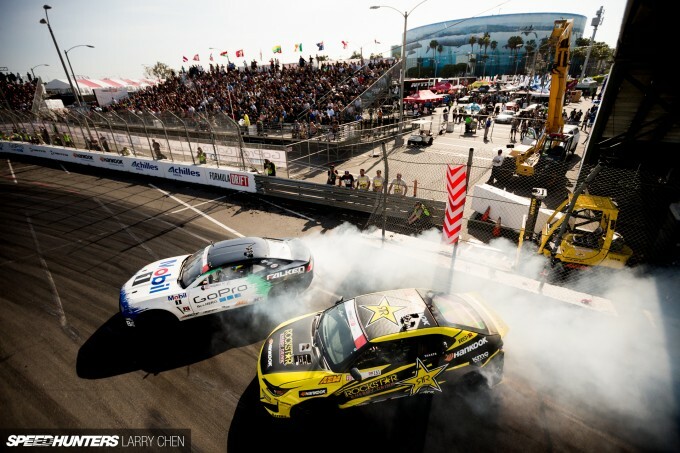 Despite the series only being 12 years young, Formula Drift has garnered a lot international attention. 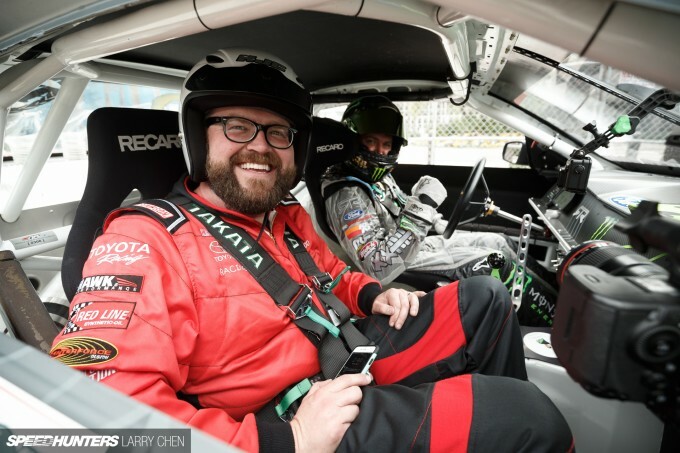 In terms of its fan base, today it rivals some of the highest forms of motorsports – just ask Rutledge Wood of Top Gear USA fame. There is just something so right about a car sliding sideways an inch away from a concrete barrier with the throttle pinned. As I mentioned in my trackside post, the Pro grid is greatly concentrated this year, and only this field competed at the opening round. It was absolutely necessary too, as Long Beach is the most unforgiving and brutal course of all seven North American rounds. The walls don’t move, and after a long off season it’s nice to have some leeway in terms of run-off area. 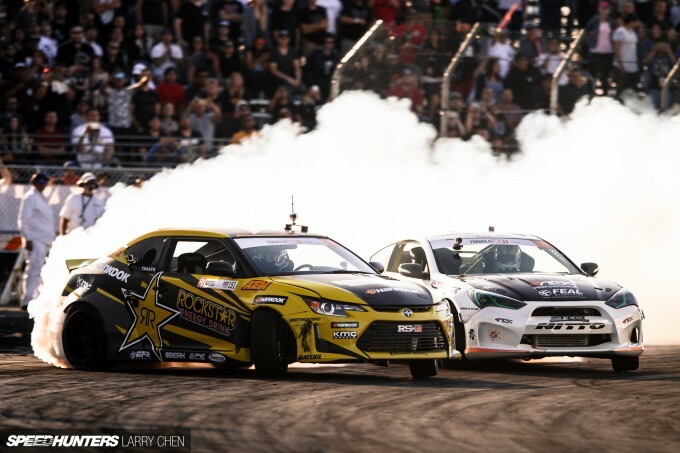 As for the rest of the Formula Drift grid, they will be competing in the Pro2 sub series which kicks off at Orlando Speedworld for Round 3. 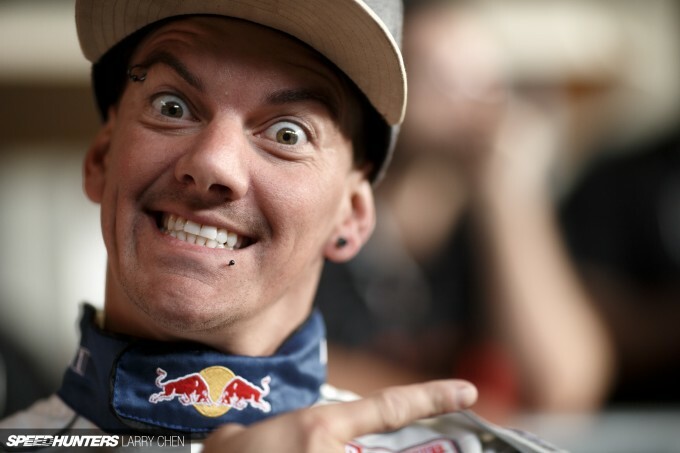 When I heard that Speedhunters driver Mad Mike Whiddett was making a return to Formula Drift and would be competing at most rounds this season, I was ecstatic. I always felt like the paddock was missing a bit of style when he left in 2010, so it’s great to see him back. 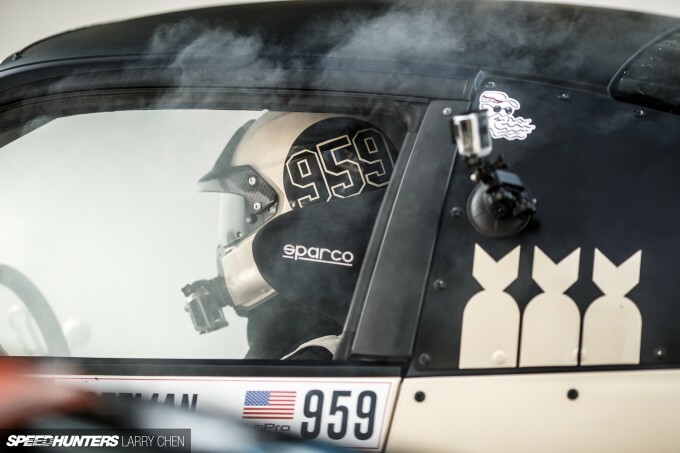 Although shipping issues meant that his new car wouldn’t make it for Round 1, he still flew up from New Zealand to check out the event and the competition. I can’t wait to see RADBUL make its debut at Road Atlanta in two weeks time. 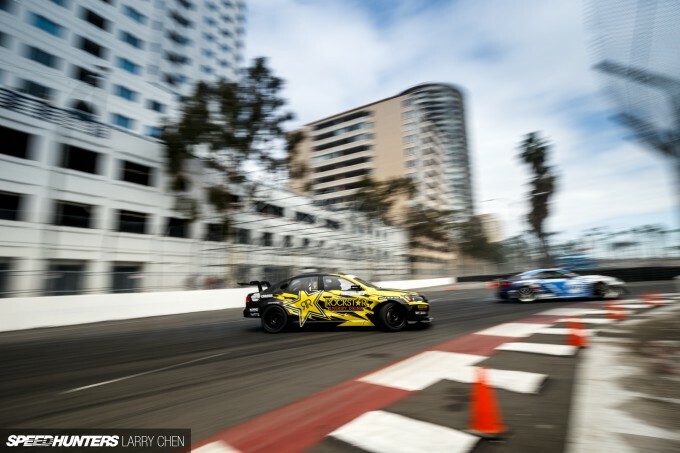 As you guys have probably already seen, we recently ran a build story on Tanner Foust’s Volkswagen Passat drift car. It was actually really hard for me to keep it a secret, as from the moment I started shooting the build I was very excited. 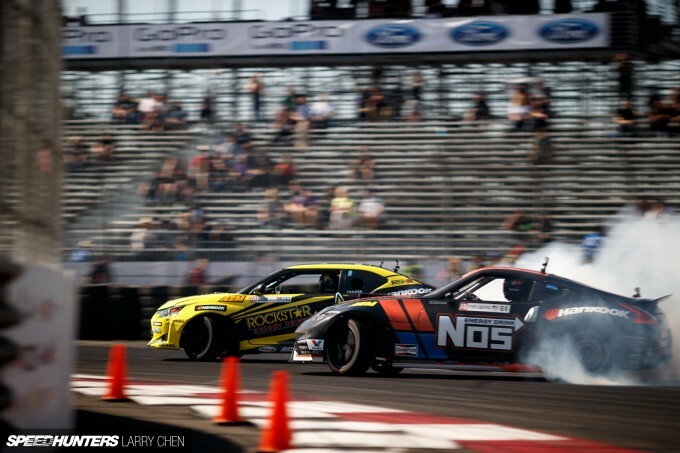 The last time I interviewed Tanner I asked him when he was going to return to Formula Drift. He couldn’t really give me a definitive answer then, but it’s great to see him back on the grid as it really legitimizes the sport of drifting. Because if you think about it, while Tanner admits that drifting kickstarted his career as a racing driver, there is no real reason for him to return. 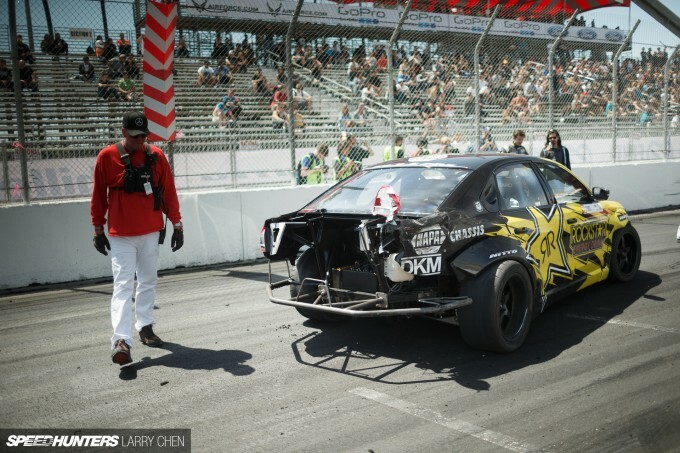 But he genuinely loves driving sideways, and for the time he was out of Formula Drift he really missed competing. 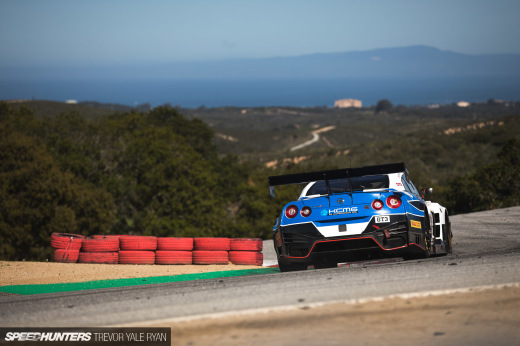 Because the car was only finished a few days out from the event Tanner didn’t get much seat time to test it, and with the few runs he had over the weekend the Papadakis Racing team were struggling to dial in a good setup. You can see here that Tanner tapped the outside wall going into Turn 10. This was actually during practice, so the team really had to rush to put the car back together in time for qualifying. 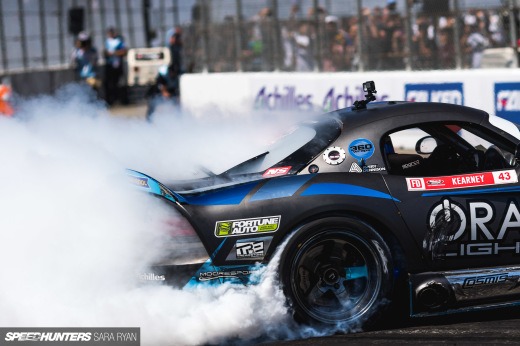 It seems as though Stephan Papadakis enjoys doing things the hard way, because he is the only madman on the grid crazy enough to build not one, but two competitive drift cars out of front-wheel drive grocery-getters. 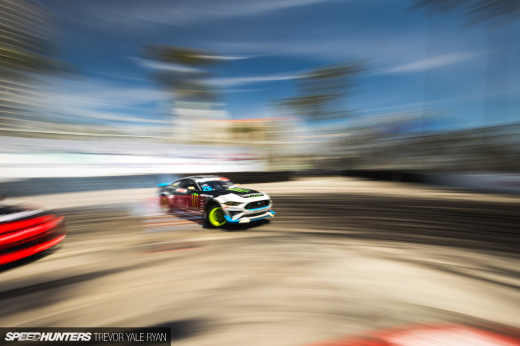 My only worry with Tanner getting back into the driver’s seat of a drift car was that it might overshadow his Rockstar Energy teammate and Speedhunters driver, Fredric Aasbø. It seems like I really don’t need to worry about that though, as Fredric finally broke his self-proclaimed ‘Long Beach curse’. Before this round he had never progressed past the Great 8 bracket on the streets of Long Beach. 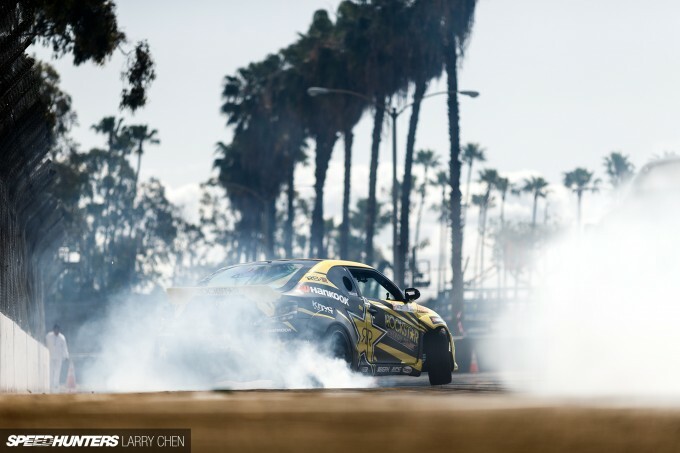 The win at Round 1 means he is one step closer to earning the top honor for a drifter: a Formula Drift Pro Championship. 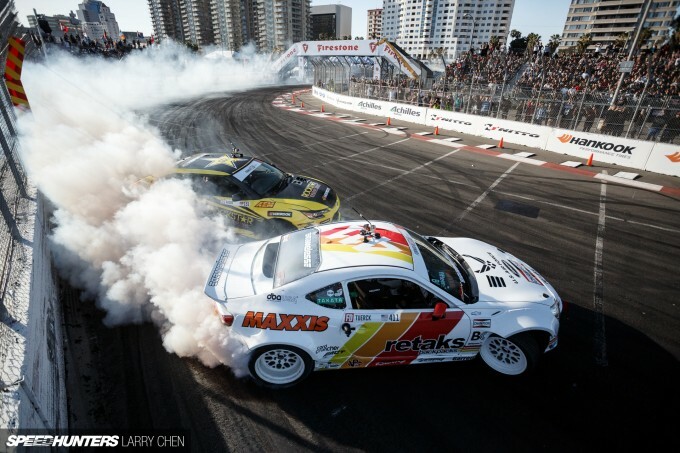 Because while there is a 10-round World Championship this year, I still think the highest goal in professional drifting is winning the seven-round USA series. 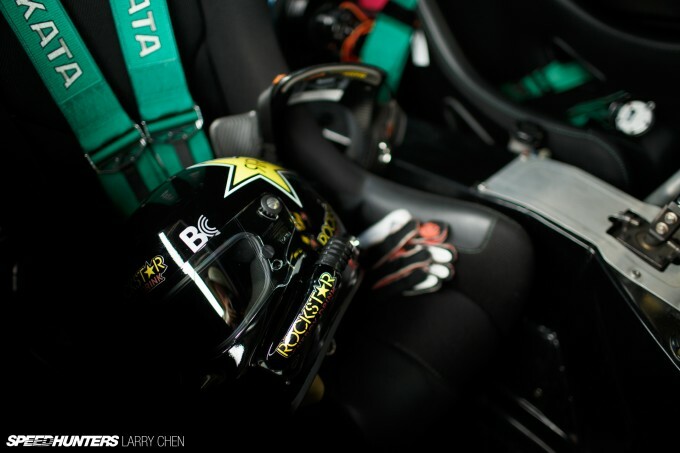 Charles Ng is another Speedhunters driver who is back on the grid this year. This time around though, he’s dropped the supercharged V8 power plant that brought him so much grief in 2014 in favor of a twin turbo VR38 setup from GReddy Racing. As a traditional touring car driver, Charles likes to push super hard. 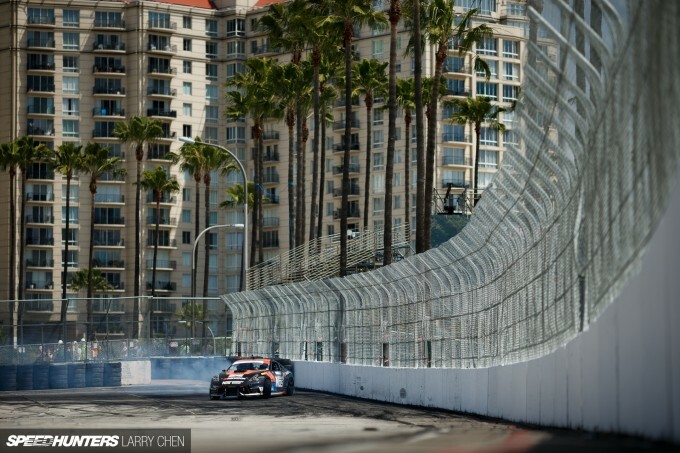 But the concrete walls of Long Beach left his R35 GT-R powered Infiniti G37 bruised and battered. He was lucky that his fuel cell didn’t puncture as it was crushed when he brushed the wall. The flexible bladder inside definitely did its job. The Monster drifter and last but not least of our Speedhunters drivers has been up to no good recently, building cool cars and doing all sorts of fun things. Out of all the drivers and personalities that I follow around the world, I have to say that Vaughn seems to come out with the most innovative stuff. I recently had a chance to shoot his drifting and jumping Ford F150 EcoBoost truck for a full feature, so stay tuned for that. Vaughn’s Drift Alliance teammate and all round nice guy Chris Forsberg was back in form, qualifying in 2nd place. 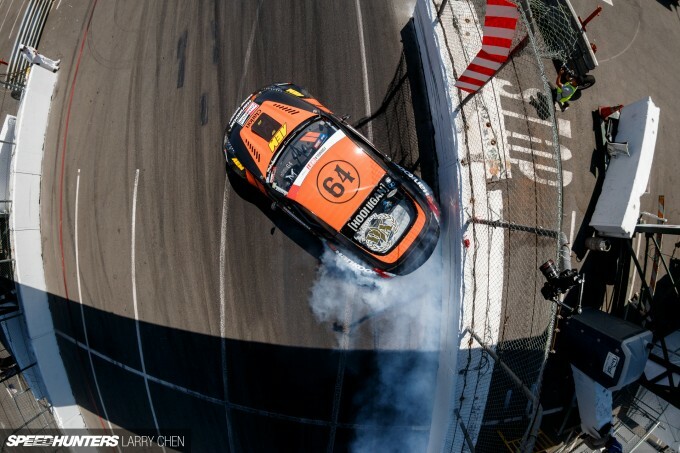 Chris has always been known around the paddock as Mr Consistent, and he lived up to that reputation at Long Beach by throwing down close to identical runs all event long. It ended up being a tough event for Chris though, as he was knocked out of the Top 16 bracket when he made an uncharacteristic mistake. So much goes into a competition weekend now that it’s even getting tough for the top teams to stay competitive. The stars have to align and with a little bit of luck you can pull off something amazing. Because, regardless of how big or well-funded a driver’s program is, everyone is pushing just as hard for the top spot. 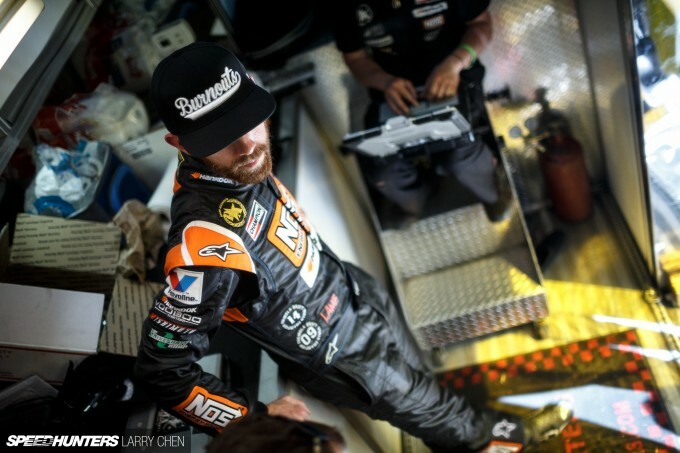 With Tanner back on the grid for a few events, and maybe more in coming seasons, I think it’s only fitting that more veterans of the sport make a comeback. Rhys, Samuel, are you guys listening? With the new qualifying format that rewards style and form over speed in place, Forrest Wang was in his element. 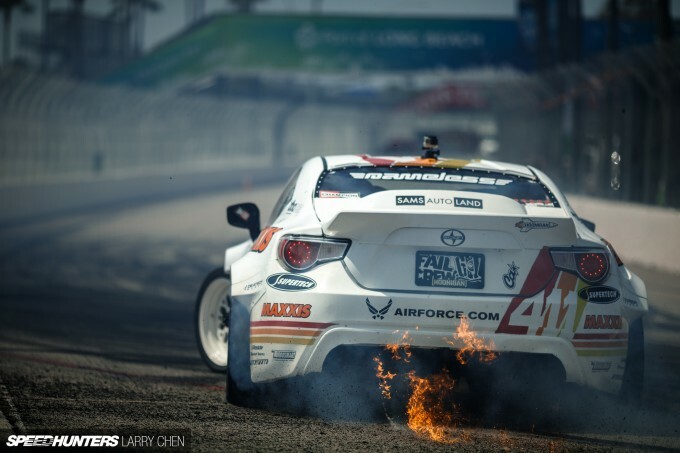 We’ve seen him take the 1st qualifying spot time and time again, and he did it again in Long Beach. But this was an event filled with upsets, and for Forrest the elation didn’t last long after he was knocked out by Matt Coffman who qualified 32nd, in their Top 32 match-up. Matt has some serious skill when it comes to tandem, but he definitely needs to work on his qualifying runs. That said, I would not be surprised if we see him on the podium this year. While it’s nice to qualify high, it’s not much help if you can’t knock your opponents out in battle. 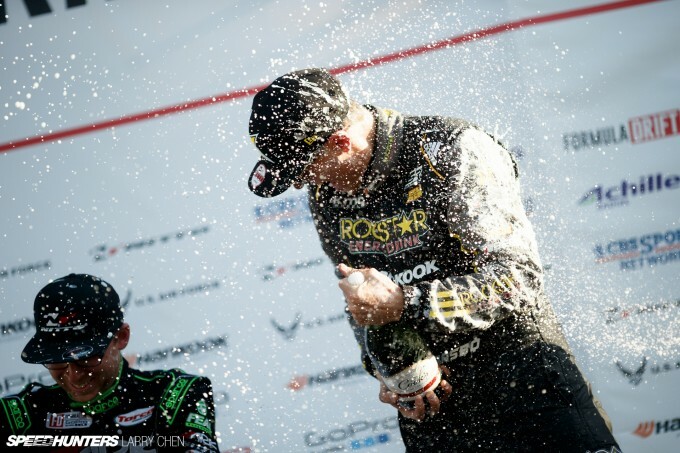 How do you think Daigo Saito earned his first championship in 2012? 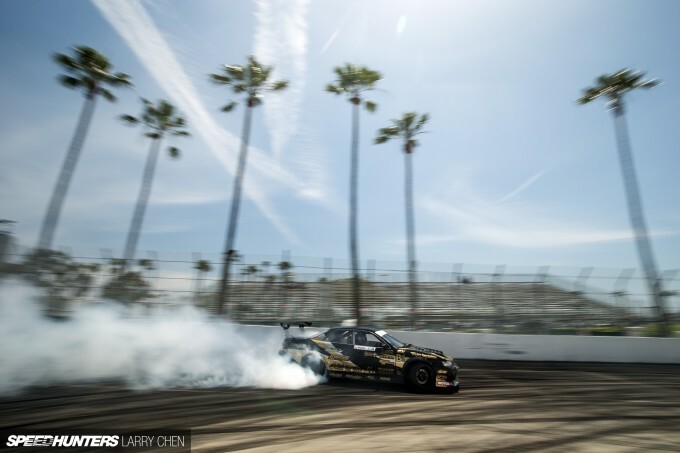 Odi Bakchis has been a rising star since he started competing in Formula Drift. His wild left-foot braking style threw a wrench in everyone’s tandem strategies, and he backs technique up with amazing consistency. 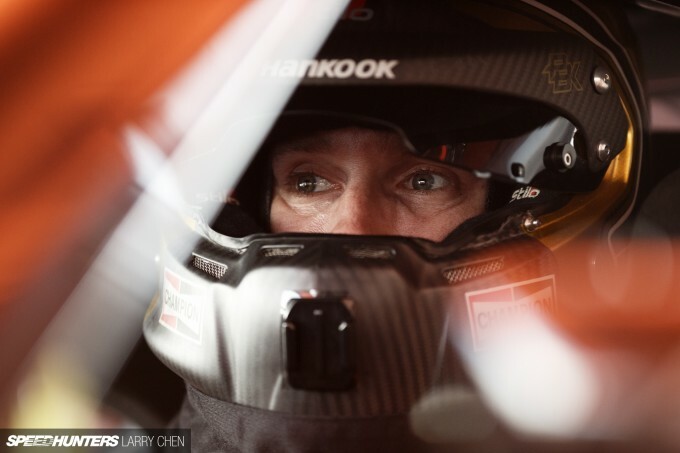 I think everyone thought he was crazy to compete in the ARK Performance Hyundai Genesis when he has had the most seat time in his own Nissan S-chassis. But his gamble paid off and he earned another 2nd place finish. 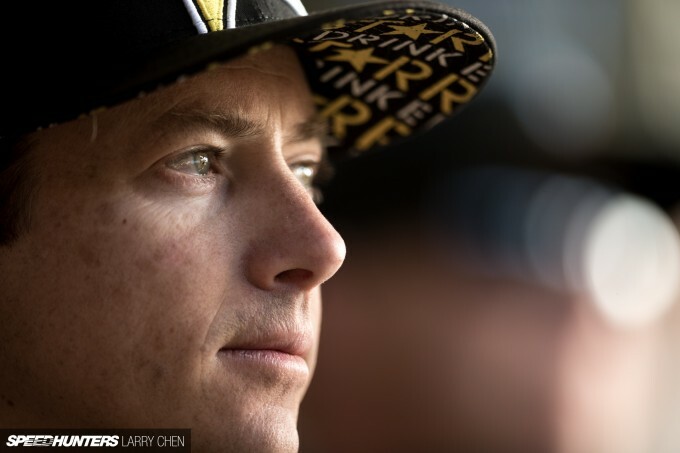 2014 Rookie of the Year Geoff Stoneback had a lot on his mind going into competition for the weekend as his best friend, Mark Lenardon, was involved in a horrible motorcycle accident just a few days earlier. 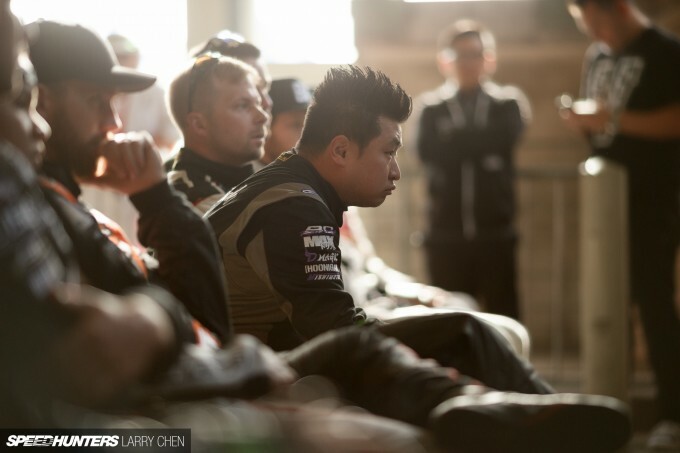 Mark passed away a few days ago, and it has been incredibly sad for the entire drifting community to come to terms with the tragedy. 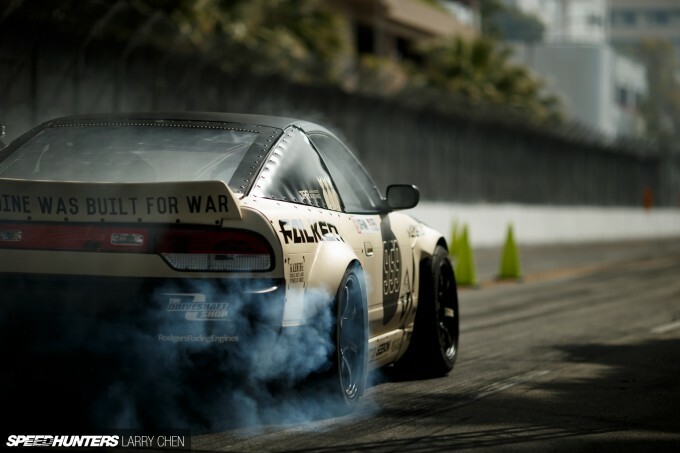 You can see a huge ‘I Heart Mark Lenardon’ decal on top of Geoff’s S14. I knew Mark personally as I watched him come up through the ranks as a videographer, and had the pleasure to shoot alongside him many times. He will be missed greatly. If you want to help the family out you can donate here. Rest in peace buddy. 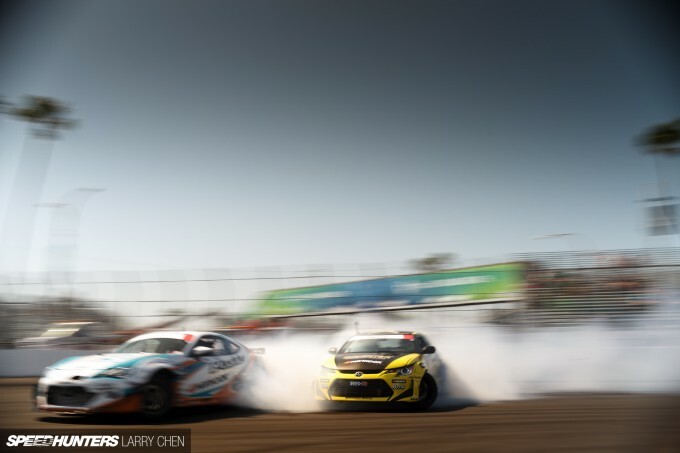 There were so many stories to be told just from one incredible drift event, but perhaps none more exciting than Ryan Tuerck’s battle all the way to third place. He was absolutely on fire. The youngest Drift Alliance driver has always been one of my favorites, even though he nearly killed me back in 2007 driving his red S13. The battle between Ryan and Fredric was very long and drawn out, and you could cut the tension with a knife. Both drivers were pushing so hard, but you couldn’t even make up the way this semi final panned out. It’s like they were following the perfect script. If you didn’t catch the battles on the Livestream or in person, you can check them out here and make your own judgement calls on whether it should have gone ‘One More Time’ or not. Ryan’s diff broke at the last corner just a few feet away from the finish line, so when the second OMT was called the team knew they had their work cut out. I watched in agony as the guys from ‘Nameless Performance’ rushed to remove the broken pumpkin and swap it out before the five minutes expired. As the clock ticked down it was very apparent that they were not going to make it, but they still pushed on till the very last second. Some say it was close, but judging by how far they had gotten, I’d say it would have taken another five minutes to get the job done, and even that may have been pushing it. 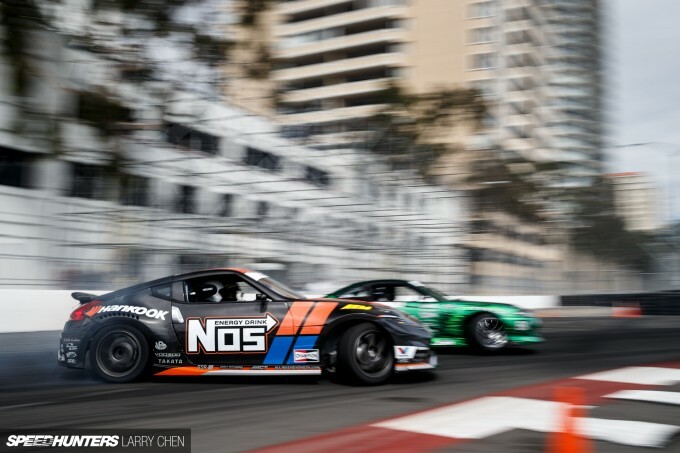 The guys may be known as Nameless Performance now, but they aren’t ‘nameless’ anymore. 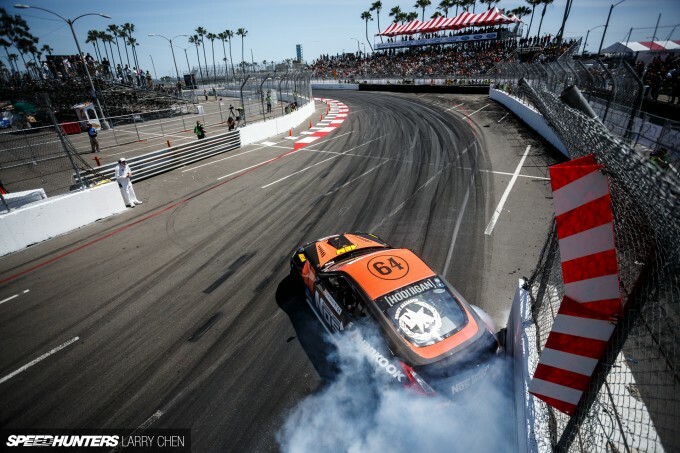 It wasn’t long ago that Fredric Aasbø was always the bridesmaid but never the bride. It seems as though he’s now passed that torch on to Odi Bakchis. That’s not entirely a bad thing, because as Fredric told me after the event, he is not an underdog anymore. People want to take him out, and it’s a win in itself if you beat ‘that Freddie Aasbø guy’. I feel like it’s going to be a really close championship. Chances are, Odi will be in the top spot before we know it and the rest of the field will be clawing away at his lead. It really is crazy to me how far the sport has come in such a short amount of time, and it makes me wonder what the series will be like in another 10 years. What if Volkswagen decides to put together a serious factory-backed program? What if that brings in more European manufacturers? 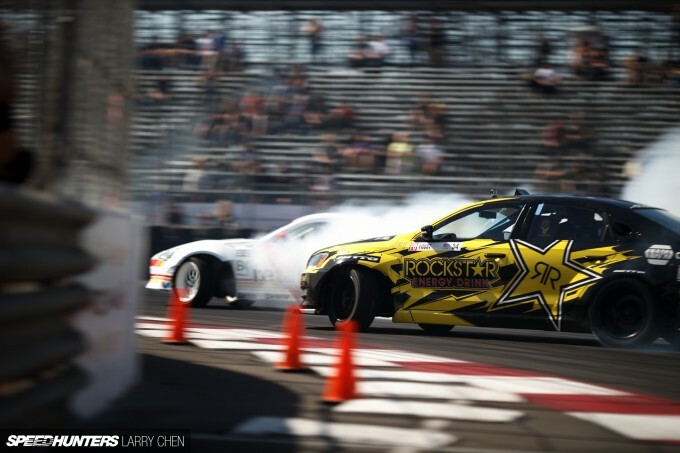 How cool would it be to see a drifting Mercedes-AMG C63 in Formula Drift. One can only dream, right? 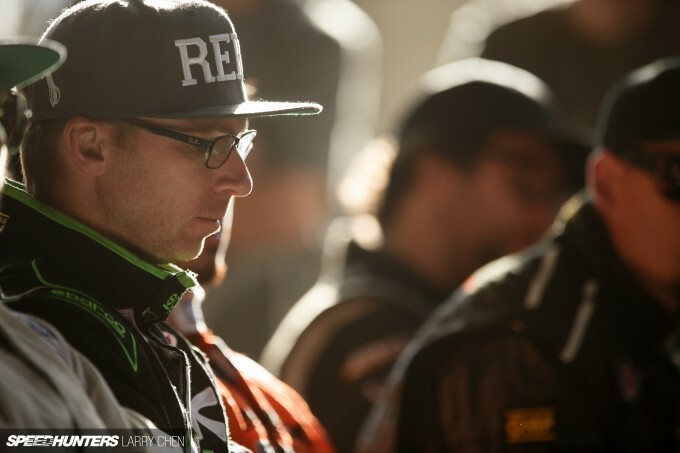 I spoke with Tanner at the first round of LOORRS this year. Even though he was doing well running off-road, I'll bet he's glad to be back on the tarmac. 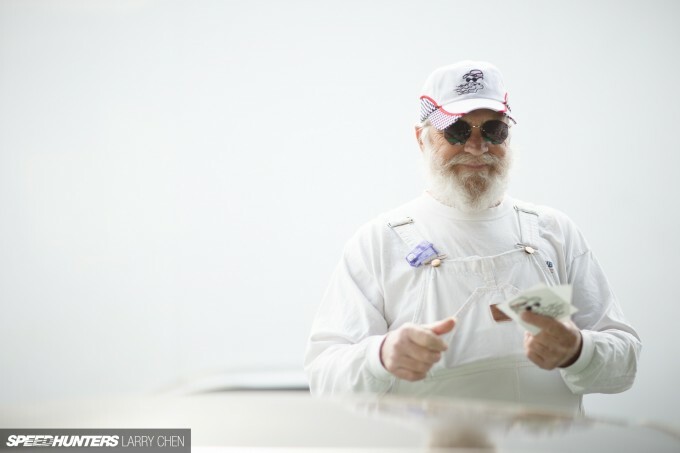 As always, fantastic photos and write-up, Larry. It's always nice to see a mix of on-track/off-track photos. 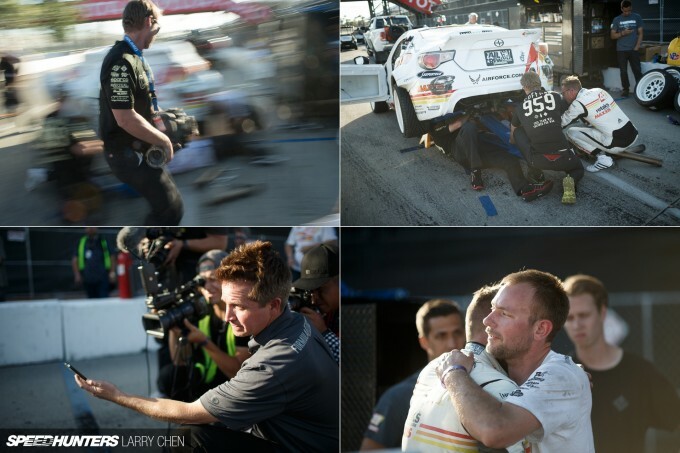 The off-track photos really help tell the story and portray some of the emotion. And way to step up the aerial photography game. 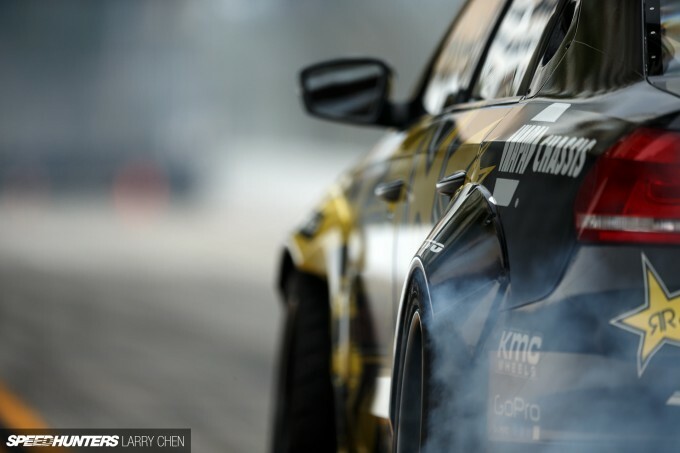 Will we see a feature on the HGK BMW? No mention of matt field? 4th in the standings and arguably one of the best battles of the weekend with odi..
elertsmartins They already did, last year. LouisYio elertsmartins Entirely different car though, not nearly as crazy. elertsmartins Already in the works. @Roger There are just so many stories to touch on from the weekend, It's impossible to get to them all. Plus most of you guys have already seen the live stream. I just want to touch on a few points that may have been missed on the live stream. What's this about Pro2 at Atlanta? The FormulaD site still lists Orlando as the first Pro2 event and Atlanta as Pro/World only. RoadconePhoto Oops, you are right. Will fix it now. 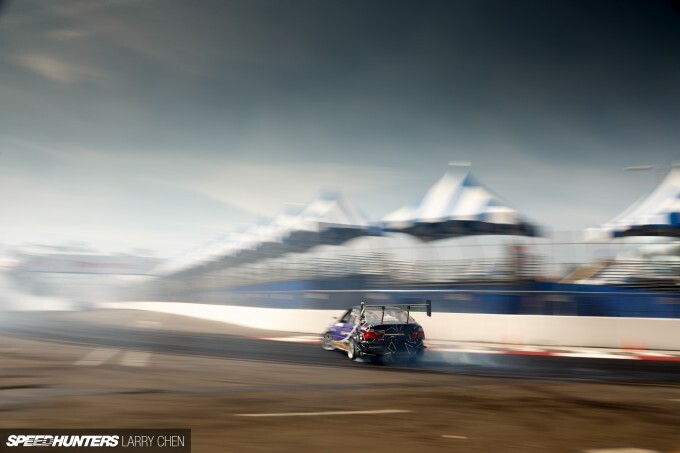 Larry Chen RoadconePhoto you had me scared for a second lol. silveradotx Yeah, Tanner will always be a drifter at heart. Make sure you guys check out the images in presentation mode. I like that most of these images have some form of smoke in them. Moreover, the drone images are great! Holy crap Larry, that ASB video is amazing! Nostalgia-city for sure. Can we go back to low powered SR's, Bellbottom aero and cheap metallic paint jobs with chrome vinyl liveries? Thanks for the memories buddy! Wow the 10 years of work clearly shows in the pictures. These were awesome. 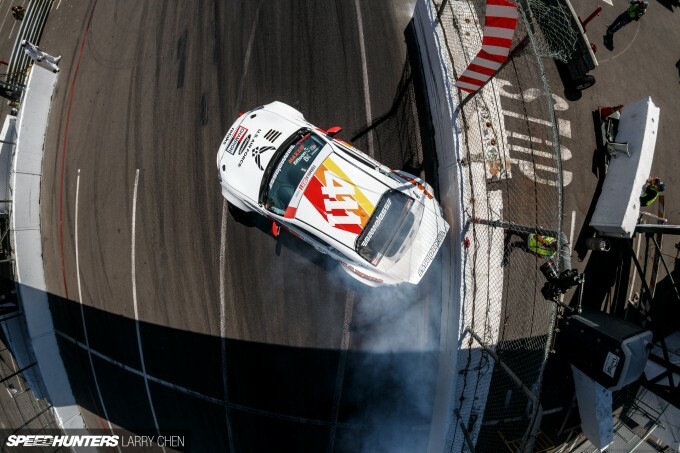 Larry Chen And after that, folks should hop over to http://news.formulad.com/2015-gallery/ for some extra visual goodies. 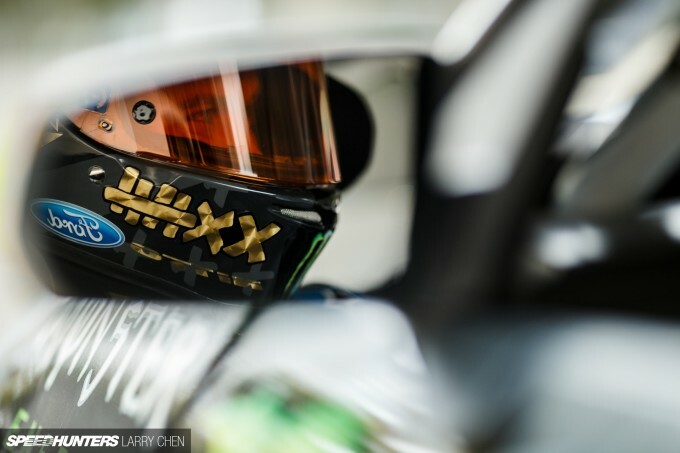 Fantastic photos and story, your insight about the sport and drivers is always a pleasure to see and read, thanks for sharing!! Hey Larry I was wondering what camera you use now? I absolutely love not just your photos, but your write ups. I think you really manage to touch on not just the cars, but the drivers themselves. As someone whose just an amateur photographer and looking to move up a little, it's really cool to see you talking about your roots and relating to where you started in your career, where some of us are now just starting to get into photography. Keep it up Larry, you rock. Larry your photography and coverage of this event is truly legendary. Seriously inspirational work. That video was a bit hair-raising! I stared long enough at this photo only to realize there is an article that I've forgot to read. MearBiaggi haha, I'm glad you like it. TYRphoto Thank you for the kind words and thank you for the support. SimonSheehan Yeah, trust me I never forget my roots. I really try my best to add the human element to racing, while the cars are the stars and they are what we love, the people behind the wheel is what actually matters most. jacobherman14 That is definitely what makes it interesting. The drivers are pushing harder than ever now. Z Spool Those days have come and gone. I am glad to see it evolve to where it is now, but I am also glad I had a chance to document it when it was still very young. Please do a parking lot article! 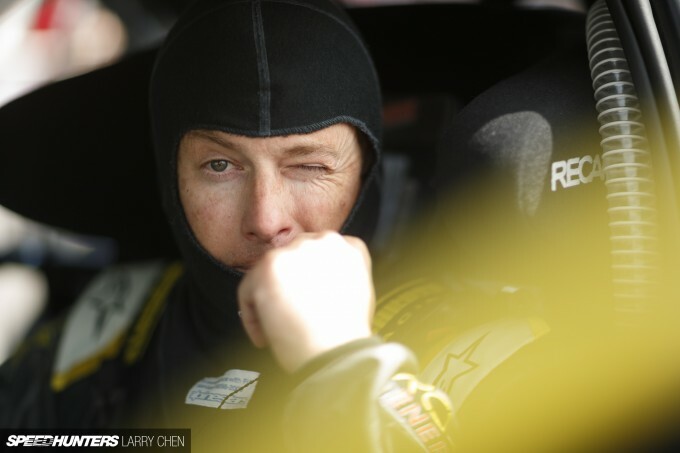 Aasbo has made it past great 8. His rookie year (2010) he placed 4th. Waited for a week just to grab some great new wallpapers for my computer. 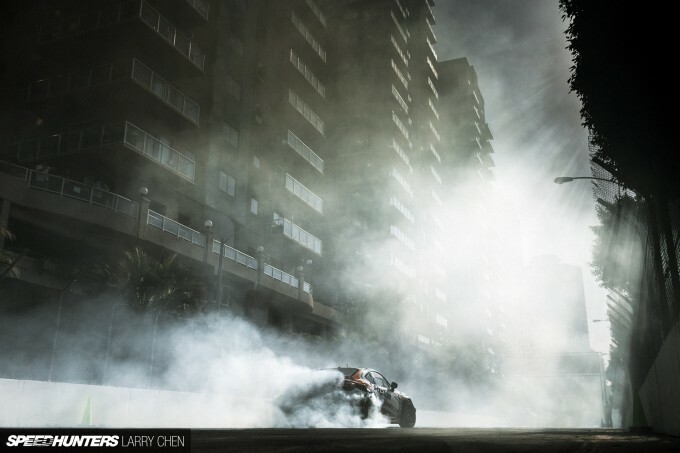 Fantastic shots as usual Larry! Larry Chen Don't get me wrong, I love a lot of stuff on the paddock right now and it's great to see how lucrative the sport has become as a whole. I just miss the simpler days as well, and I wish there was a way to still enjoy that simplicity today. Anymore when I'm shooting grassroots events, the field is mostly composed tube front shells with LS-swaps and modified knuckles, even the new guys. 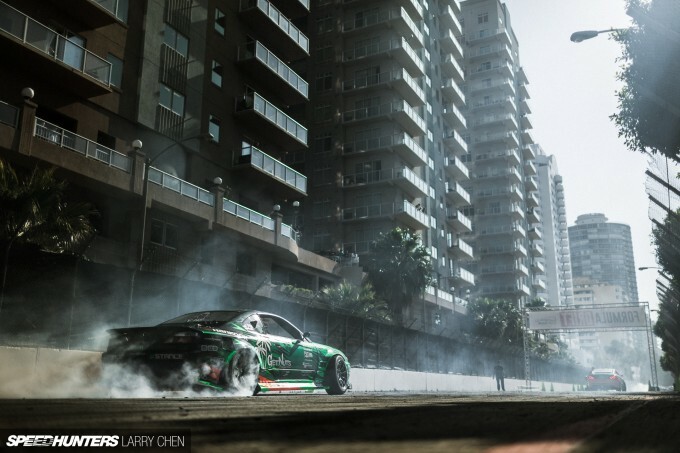 Drift events just seemed more 'fun' back then, you know? 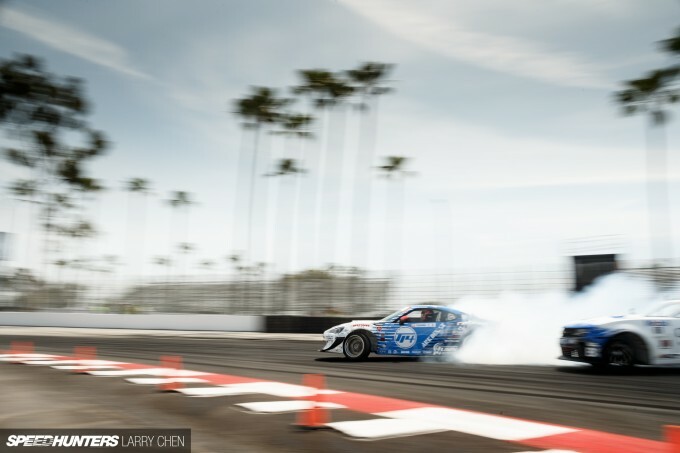 People were just stoked to skid around with their friends rather than this looming goal of everyone trying to be the next big name in drifting. Nevertheless, none of what I'm saying hasn't been said before, so I'll end it there. I had just never seen that ASB cut before and it brought up a bunch of great memories, so thanks again for that. Shooting an FD event must really help you build up an appetite. What kind of diet are you on before, during and after an event to withstand such a grueling task? 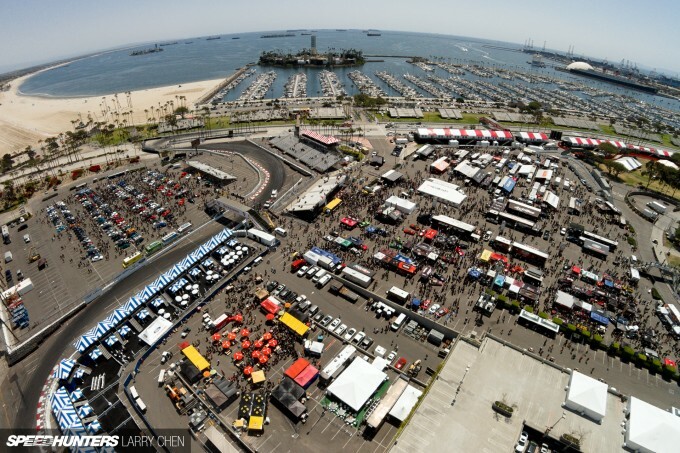 Larry, how you are able to step up your game every year with your FDLB coverage is beyond me. So many of these shots are jaw-dropping!